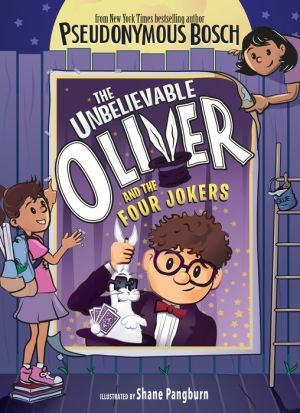 From the author of the bestselling Secret Series comes this funny chapter-book mystery about a third-grade magician and the wisecracking rabbit who is the secret brains behind his act. Eight-year-old Oliver dreams of being a professional magician, even though he has terrible stage fright. And now, his friends Teenie and Bea have gotten him invited to a classmate's birthday party as the paid entertainment! Desperate for help, he visits The Great Zoocheeni's Magic Emporium, but comes away with nothing more than a moth-eaten top hat.